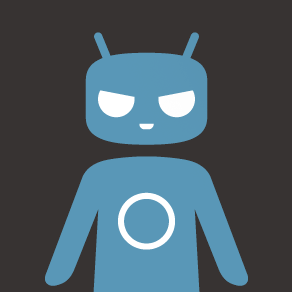 Last week we reported that the CyanogenMod team had added almost a dozen new phones and tablets to their list of officially-supported devices, including Barnes & Noble's increasingly affordable Nook HD and Nook HD+. At the time the B&N tablet builds weren't quite ready, but nightly ROM builds just showed up for both the 7-inch and 9-inch versions. Go forth, ROM addicts, and flash to your heart's content. CyanogenMod still uses baffling codenames on the Get.CM download page, so if you're looking for the builds in the left-hand menu, search for "hummingbird" (Nook HD) and "ovation" (Nook HD+). I've taken a less conventional path into the world of Android. I owned a Honeycomb tablet long before I finally got my hands on my first smartphone, and before that, my first Android device was a Nook Color (I booted CyanogenMod from a microSD card, so it was legit). It is due to this background that I am sad to see Barnes & Noble end in-house development of its Nook line of tablets. Do you want to give a flashy gift on Father's Day? You know, something to really show up your siblings. Barnes & Noble has a pretty sweet offer that might just help to turn you into dad's favorite, again. 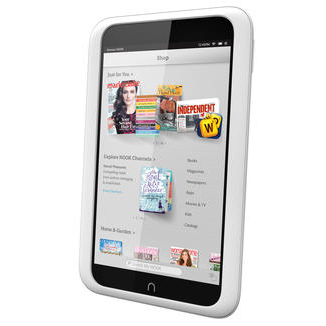 Until Father's Day, the NOOK HD will be on sale for $129 (8GB) and $149 (16GB), while the NOOK HD+ will drop all the way to $149 (16GB) and $179 (32GB). As a reminder, both tablets recently gained access to the Google Play Store to go with B&N's own curated platform. 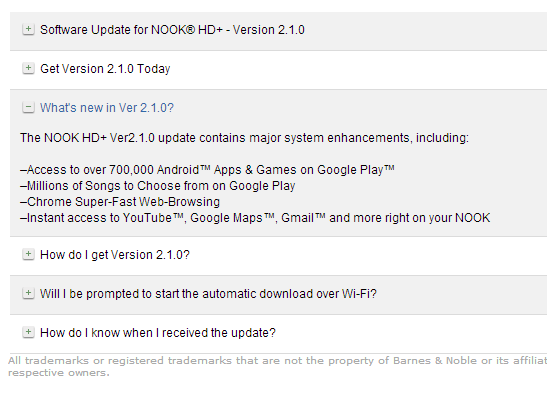 Two days ago, Barnes & Noble dropped a bomb by announcing full Google Play integration for its Nook HD and HD+ tablets. 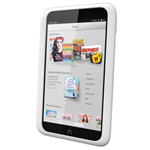 Now, it's looking to move even more units than before by offering a killer Mothers' Day deal for the next week: the Nook HD will be $150, and the HD+ $180 for the base storage options. That's a killer deal. This deal is good from now until Mothers' Day (May 12th), so if you're looking for a tablet that won't break the bank (for you or mom! ), this one's hard to pass up. It's no secret that I've long been against calling the Nook and Kindle Fire series "Android tablets," as neither is more than a glorified e-reader to me. Today, Barnes & Noble dropped a bomb on that way of thinking, as it announced that the full array of Google Play services will now be available on the Nook HD and Nook HD+, essentially turning them into full-fledged tablets. Moving forward, all Nook HD and HD+ tablets will ship with Google services – including the Play Store, YouTube, Gmail, Chrome, and the like – but for those who already own HD/HD+ units, the new features will be showing up via an OTA update to v2.1.0, which should begin rolling out today.